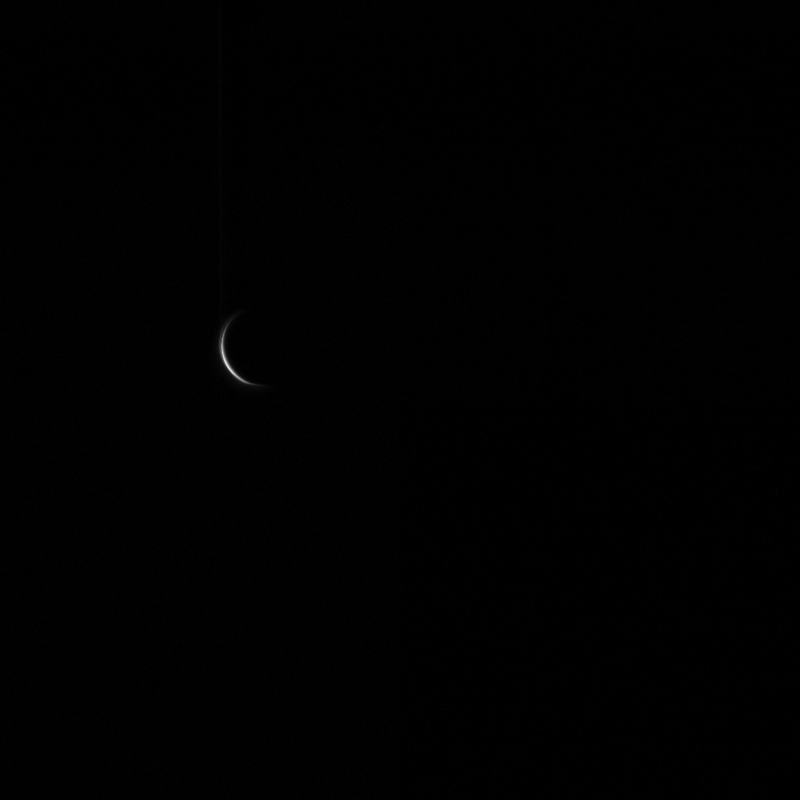 In a poignant farewell, Japan’s Akatsuki spacecraft returned this image of Venus as it sped off into space, its attempt at establishing orbit having failed on Wednesday, December 8. The $300 million scientific observatory was created to study the atmosphere of our neighboring planet, as well as use its specially-designed cameras to pierce Venus’ opaque sulfuric-acid clouds to search for volcanoes and other surface features. After making the five-and-a-half month journey to Venus, Akatsuki’s orbital insertion did not go as planned and it soon became evident that the spacecraft had missed its mark, with no chance of another attempt anytime soon. Very sad. JAXA mission scientists are hopeful that, with fully-functioning thrusters on Akatsuki, they do have a good chance to “try again” in six years, when the positioning of the spacecraft and Venus may allow for it. Until then, all anyone can do is wait and stay hopeful. Read more on The Planetary Society’s blog.